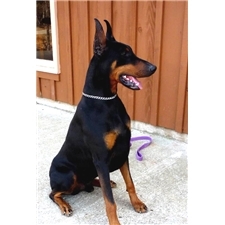 This Doberman Pinscher nicknamed Black Velvet sold and went to a new family. 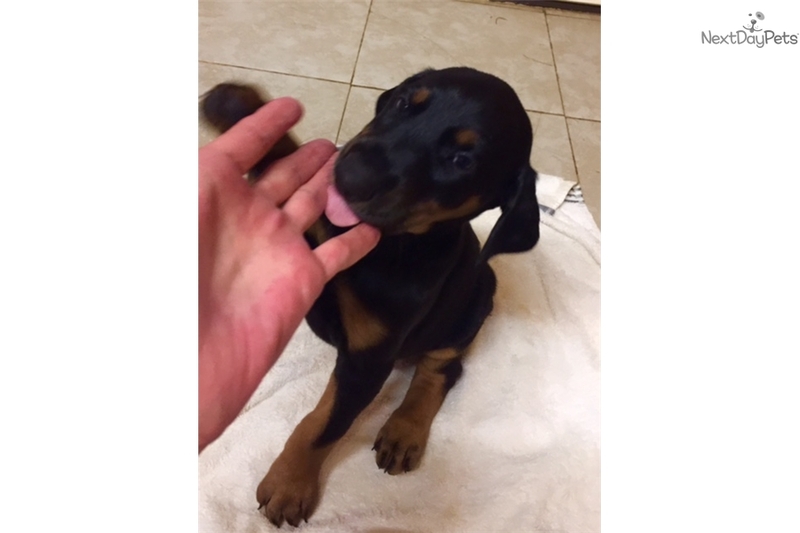 Small Home breeder we raise Great Dobermans for A Great price. Most advertise that they have A great Male. Having A great Male alone does not make A great litter!! It takes A great female and A great Male to make A great Doberman Puppy. Please don't ask to take home pups before they are at least 8 weeks old as they need their final checkup and get their shots. Please see all my Beautiful Dobermans Pictures included. None of my Dobies carry the Z factor I always have Reds and Blacks in my litters never any Blue or Fawns, I don't breed any Direct Descendants of Blues or Fawns.